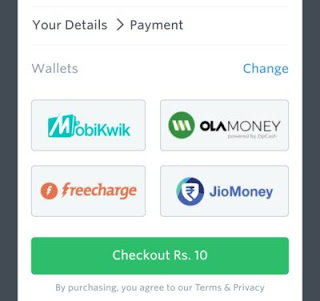 Hello Dealsnloot Readers,Trick to Transfer Freecharge, Mobikwik Cashback to Bank account (full guide).This post for those users who need Full Step by Step Guide to Convert Freecharge, Mobikwik, Ola Money, Jio Money Cashback to your Bank Account. For this we need to Become Instamojo Merchant to Collect the money from the wallet and transfer them into Bank account. 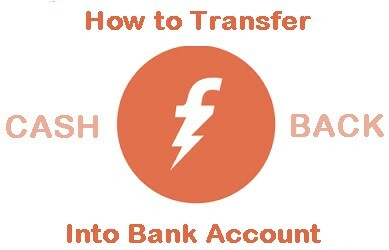 In this Way you can Transfer your All your Pending Money from Several wallet into Bank account.how to transfer your different wallet money into your bank account,So Hurry !!! Grab This Loot Trick. 2) Sign up for your account. Note:- It will take 10 minutes to setup Payment link. 3) Enter your Mobile number and Verify it via Mobile Number. 4) Enter your Pan card number and on Next Page enter Bank account number & IFSC code to receive Payments. 6) Now make your Payment link and copy it. 7) Now Open the Payment link in Chrome browser Incognito Tab or use other browser. 8) Now Enter any mobile number, email & amount. 10) After Making payment wait 3 days because after 3 days you will receive your Payments to your bank account which you have paid on payment link. 11) Enjoy !! 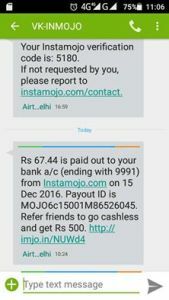 Your Freecharge, Mobikwik, Ola money, Jio Money Cashback is now Transferred to your Bank account. 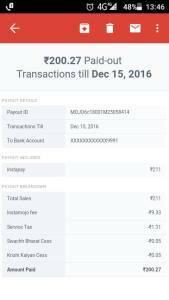 1) They charge you 3% for e-wallet transaction such as Freecharge, Mobikwik, Ola money, Jio Money + flat Rs 3 fee for each transaction. For example :- if you pay Rs 1000 then 3% + Rs 3 will be charged = Rs 33 and remaining you will get in your Bank account. Collect ad-hoc payments with a link. Send via email, sms, whatsapp, etc. Embed payment buttons on your website/blog. Build your e-commerce enabled online store without coding or hosting hassles. Attractive Product Landing pages, with images & text. Showcase all your products on your online store. Give discounts, collect shipping, tune SEO settings. I HAVE ENTER THE FAKE PAN CARD DOES IT WILL DO ANY THING? ?